Be the first to share your favorite memory, photo or story of Margarita. This memorial page is dedicated for family, friends and future generations to celebrate the life of their loved one. Margarita Gutierrez, 62, passed away February 06, 2019. Funeral service will be 10:00 AM, Tuesday at Abilene Funeral Home "Chapel of Hope" with Victor Ramirez officiating. Burial will follow at Elliott-Hamil Garden of Memories Cemetery, directed by Abilene Funeral Home. Mrs. Gutierrez was born December 06, 1956, in Ballinger to Fred and Dora Ortegon. 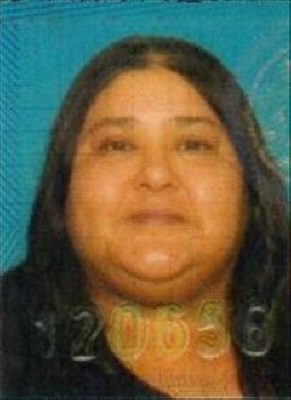 Mrs. Gutierrez was preceded in death by both her parents and the following family members: Rosa Gutierrez, Johnny Gutierrez, and Eliza Dominique Gutierrez. She is survived by her husband of 43 years Juan Gutierrez; daughters: Amanda Ramirez, Jessica Gutierrez( Jose Gallegos), Melody Gutierrez(Joe Ledesma), Nadia Gutierrez( Gabriel Gotcher) and Amaya Gutierrez; brothers: Fred Ortegon and Nick Ortegon; sisters: Mary Ann, Emma, and Juanita. She also leaves behind 31 grandchildren and 4 great grandchildren. The family will receive friends at a visitation from 6:00 PM - 8:00 PM, Monday, February 11th, 2019 at Abilene Funeral Home" Chapel of Hope". To send flowers or a remembrance gift to the family of Margarita Gutierrez, please visit our Tribute Store. Abilene Funeral Home" Chapel of Hope"
"Email Address" would like to share the life celebration of Margarita Gutierrez. Click on the "link" to go to share a favorite memory or leave a condolence message for the family.